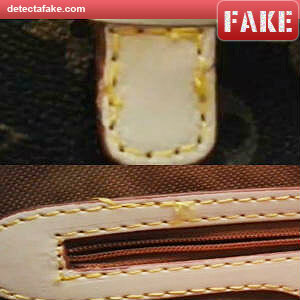 Louis Vuitton Purses are one of the top fake purses produced. They are very high in quality and cost. 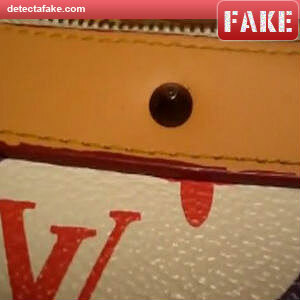 Here are some of the way to spot a fake so that you do not get taken. 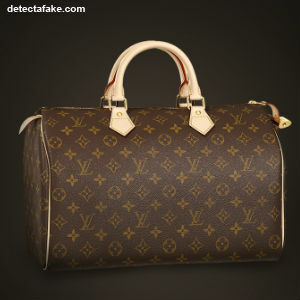 Know the Bag Style – Make sure the bag style is really made by Louis Vuitton. Check to see what type of lining, Pockets, were the Date Code Should be and other details a particular style of bag should have. Check on the company's website or in a catalog. 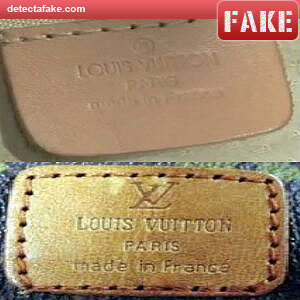 Price Tag - Louis Vuitton does not attach tags to their bags. There will NEVER be a strand of string with a circular piece of plastic with an LV in the center. They do not tag their bags with a cut out portion of the logo. 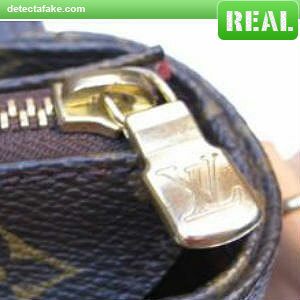 Louis Vuitton tags are usually tucked into a pocket or included in an envelope that has your receipt. STITCHING – Stitches should be flawless. No loose stitches. There will be a slight slant to the stitch. 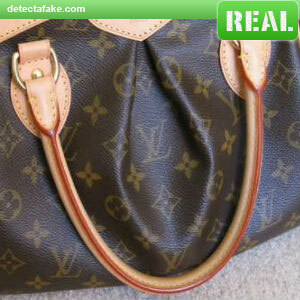 Authentic Louis Vuitton bags will be even and spaced correctly. The stitching will also be a mustard yellow. 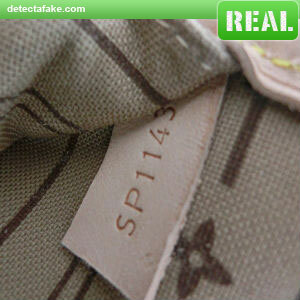 Counterfeits use a bright yellow thread and the stitching will not be even. 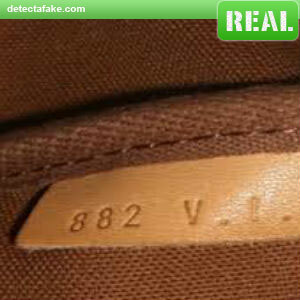 Louis Vuitton also uses a set number of stitches for certain items on a certain style bag. Like the stitches that attach the handles should be five stitches across the top. 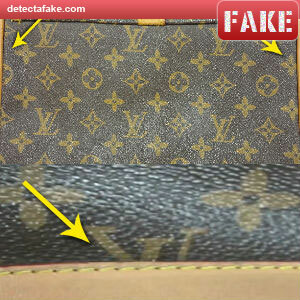 Logo - Make sure that the LV’s are lined up and the material is not tilted. If the pattern starts with a half circle flower on one side then it should end the same on the other side seam. The Pattern should also be even at the top seam. The V should be higher than the L. The LV will never be in a stitch or crease. 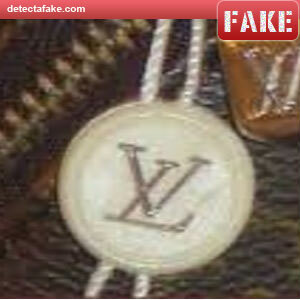 There should not be any flaws in the LV logo. 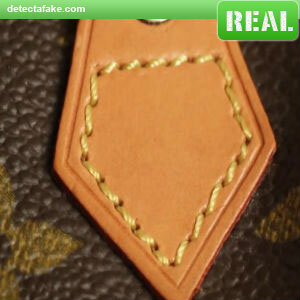 Not all authentic bags have upside-down LV's, but many do, especially if the design was made with one continuous piece of leather that wraps all around the bag. This is true for the Speedy, Keepalls and Papillons Style. If These three styles have a seam on the bottom then they are Fake. 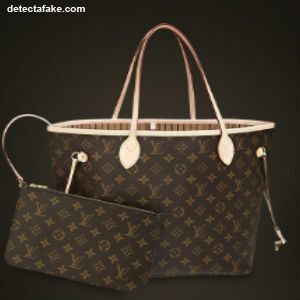 Made in label - Authentic Louis Vuitton bags are produced bags in France, United States, Spain, Germany, and Italy. The label is stamped with a heat stamp. Make sure it is evenly pressed and the font is the same. 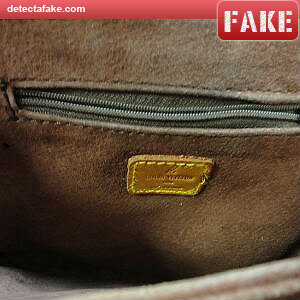 If there are any imperfections then it is a fake bag. Also check the stitching. 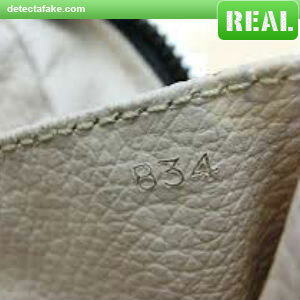 Date Code - The majority of bags made after the early 1980's have a production code stamped somewhere in or on the bag. Date stamp does not guaranteed that it is genuine. 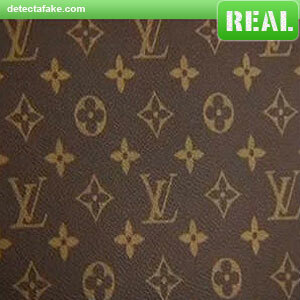 Counterfeiters are even copying these. Make sure the stamping is pressed evenly. Make sure the letters and numbers are evenly spaced and on the right shape of tag. 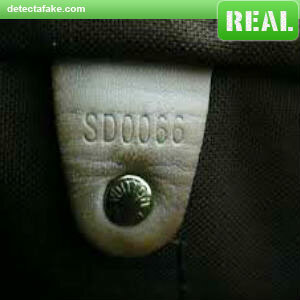 You may need to search for the date stamp, they are occasionally hidden and may be difficult to find. The first two number stands for the year and the last number or numbers stands for the Month. The Two letters stands for the country the bag was made in. The letters stand for what country the bag was made in. The numbers: First and Third number stand for the month of the year. Second and Fourth number stands for the year. The numbers: First and Third number stand for the week of the year. Second and Fourth number stands for the year. Leather - Be wary of bags that have plastic wrapped around the handles. The oxidizing natural cowhide leather does not need this protective plastic. 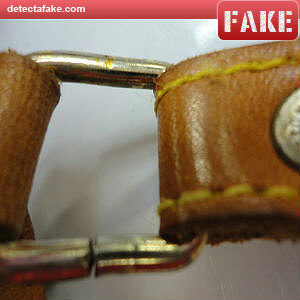 Used bag leather will darken to a golden honey patina color with age and use. The Handles are trimmed in a burgundy that will darken. 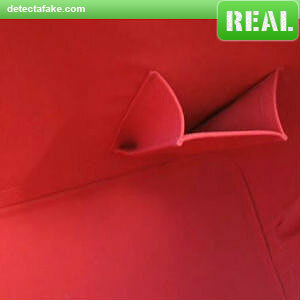 Counterfeits are trimmed in a Bright Red that does not darken or fade with time. The leather will feel silky or smooth to the touch not like plastic or hard. The Fake picture shows how the trim is painted on. Zipper and Hardware - Zippers should have LV Logo. Make sure the zipper works smoothly. 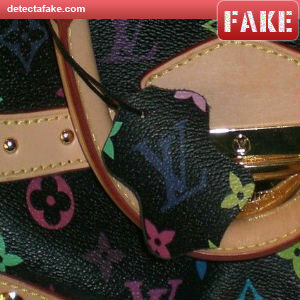 Legitimate bags use solid brass Hardware, but many fakes use plastic or tin with a layer of gold paint or bright gold plated. 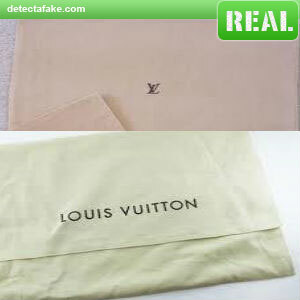 Lining - Louis Vuitton uses a variety of different linings in their bags. They have canvas lining in red or honey, fine micro monogram textile, cross-grain leather, tone on tone polyester, or microfiber suede. 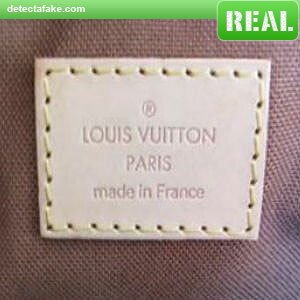 Fakes will not be of good quality. Most commonly they would line the interior with plastic or cheap tan or brown suede. 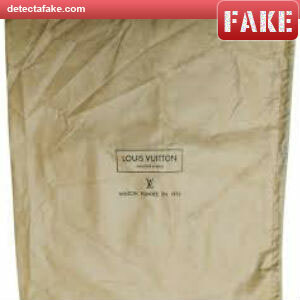 Dust Bag - Most dust bags have the standard “LV” or “Louis Vuitton” logo. They are made out of quality material. They will not have frayed edges. There will be a label on the inside printed with 100% Cotton and Made In India or Spain.